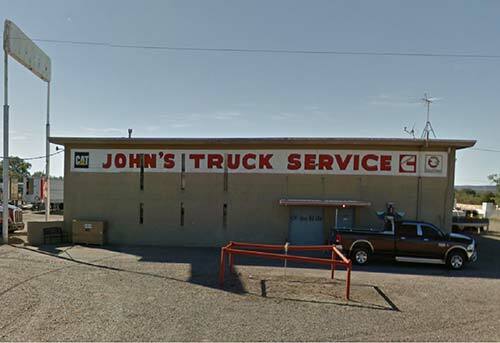 John’s Truck Service Inc. has proudly been the number one destination for diesel truck service and engine repair in Tucumcari, NM since 1976. Serving the entire Quay County, NM region, we’re your premier Cummins, CAT and Detroit Diesel dealer. From minor repairs to major upgrades and beyond, we’re here to serve your truck to the fullest. Owning a diesel vehicle means having an auto you can rely on for superior performance, powerful capabilities and unbeatable longevity. But, in order to reap these benefits and more from your investment in diesel, you’ll need to ensure it’s being serviced by a professional who truly understands the needs of a diesel engine. At John’s Truck Service Inc., we’re all about everything diesel and have the capabilities to provide your diesel truck with an unparalleled degree of service. From engine repair for your truck or RV, to helping you find the right diesel truck parts in Quay County, NM, we’re proud of our reputation as a go-to resource for excellence in diesel service. We’re a full-service Cummins, CAT and Detroit Diesel Dealer! Our business is in superior standing with the Better Business Bureau (BBB). Our team has more than 4 decades of hands-on experience and talent. We’re happy to provide you with a free estimate on services. If your diesel truck needs service or you’re looking for answers about its performance, get in touch with us today. We’re happy to provide you with a free estimate on service.